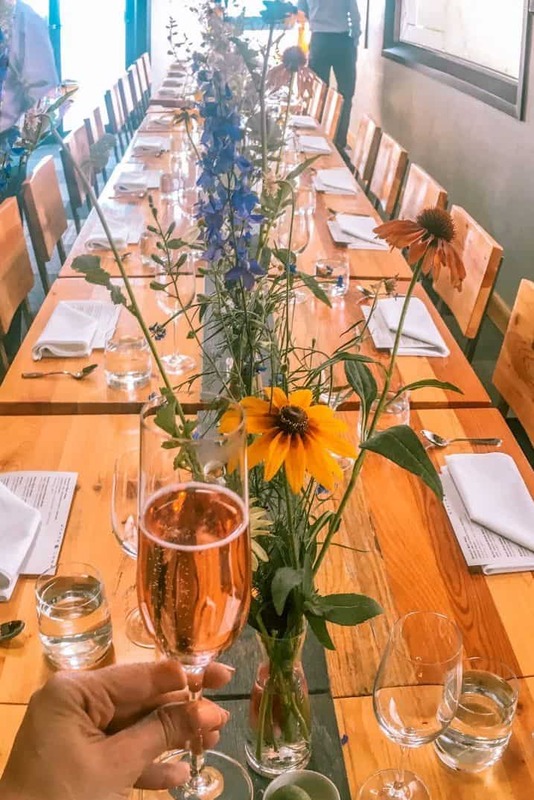 Idaho is known for its potatoes, but you may be surprised to learn about the thriving Boise wineries throughout the city. Coming from such a big city like Chicago, we didn’t know what to expect from Boise. Would it have lots of things to do? Would the city be dead because the state government was on recess? Not only did Boise have a million things to do, the weekend we were there was hopping! There was a UFC heavyweight fight, the Twilight Criterium bike race, ComicCon, and National Fry-Day! With the town buzzing from all these events, we got out of the city center. Eddie golfed at Banbury Golf Course, and I hit up the urban wine trail! Wine tasting in Boise is actually concentrated in Garden City, the neighborhood next door. It is easy to access via the pedestrian Greenbelt Trail. 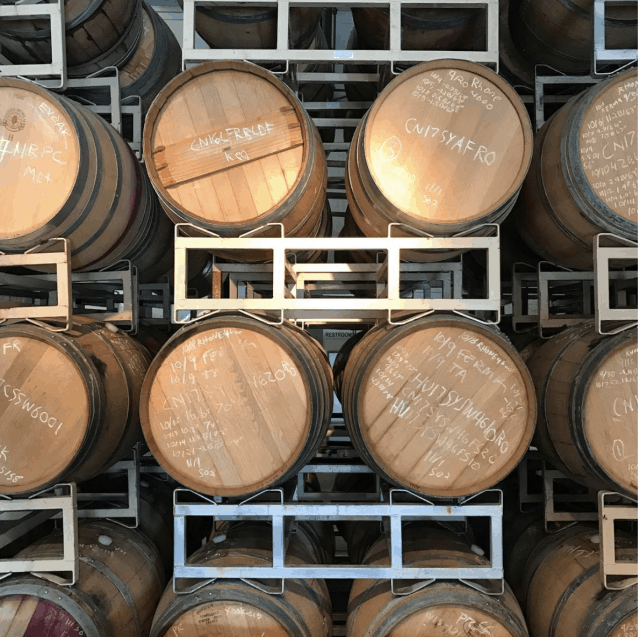 So, what Boise wineries are there to visit? Download this Map for Easy Access to to Boise Wineries for Wine Tasting Boise and Garden City! You can use the map above to plan out your Boise wine tasting itinerary. Each icon has the website or contact information for each winery. Some are by appointment only, but some are open regularly. Most of the wineries are on a stretch of Idaho Highway 20 known as Chinden Boulevard. Chinden is a mix of “Chinese” and “garden” as this area of the city was initially settled by Chinese immigrants who often grew beautiful gardens amongst the backdrop of the high desert. 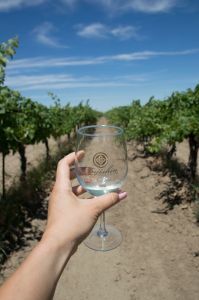 I’ll share with you the Boise wineries I visited, along Chinden and in Boise proper. Note: Most tastings cost between $5-$10 for three to five pours. The entrance of Telaya Wine Company, right off the Greenbelt Trail. I rode a bike and locked it up on their bike rack. 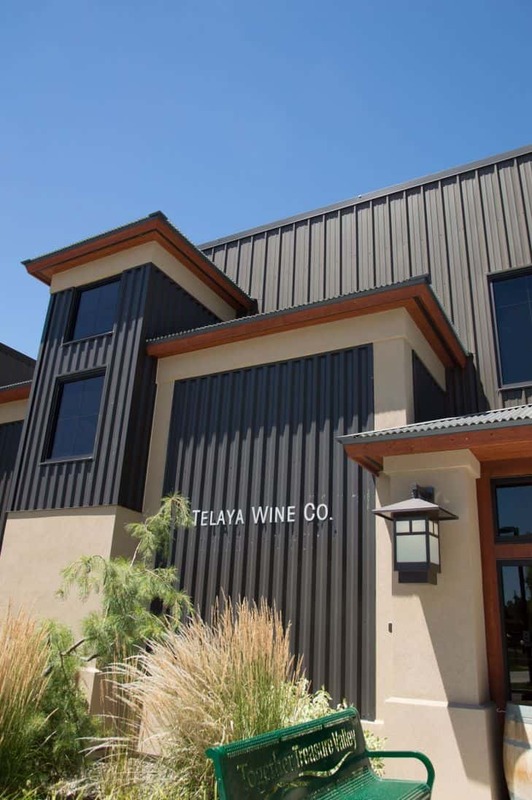 Telaya Wine Company is a husband and wife owned winery that began in 2008. With backgrounds in molecular chemistry and veterinary science, Earl and Carrie began their second careers with Telaya. Named after their two favorite places, the Tetons and la playa, Telaya wines source from Idaho and Washington vines. The day I visited, Carrie let us know that the very fervent wine club bought out all of their Idaho sourced wine. If that isn’t a resounding stamp of approval, I don’t know what is. 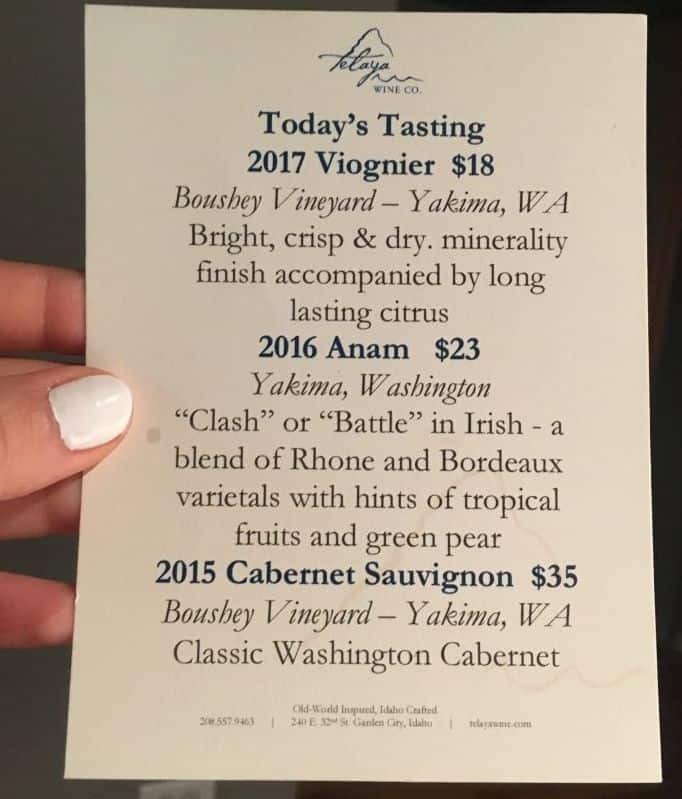 I did get a chance to try some of the Washington sourced wines, from the Yakima Valley. The tasting list at Telaya Winery the day I made the Boise wineries tour. Most of Telaya’s Idaho wine is sourced from the Sunny Slope region. With a nod to their Irish heritage, many of their blends have Gaelic names, and are bigger and bolder blends. I had the opportunity to taste Sruth, the Gaelic word for river, and boy was it a winner. Really strong berry and nice oak from a 22 month French oak aging process, chocolatey, and with a hint of coffee. The tasting room at Telaya, one of the Boise wineries just off of the Green Belt. On Thursdays, they are open late for live music on the patio! 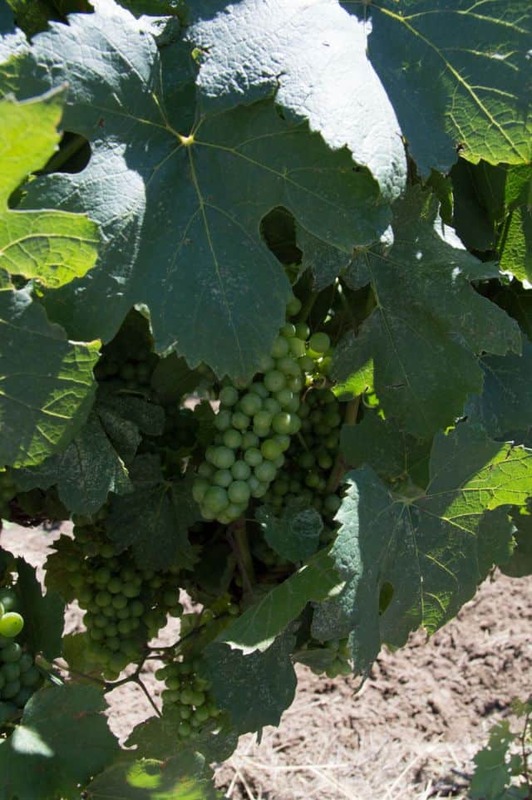 Cinder is one of the reliable players amongst Boise wineries. With a first vintage dating back to 2006, Cinder derives its name from the colored layers of volcanic soil of the Snake River Valley. Winemaker Melanie Krause started her winemaking joureny in Washington at Chateau Ste. Michelle, but moved back home to Idaho. 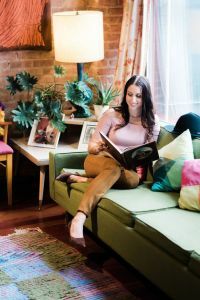 She was named to Wine Enthusiast 40 Under 40 American Tastemakers for her work championing the emerging wine regions of Idaho. 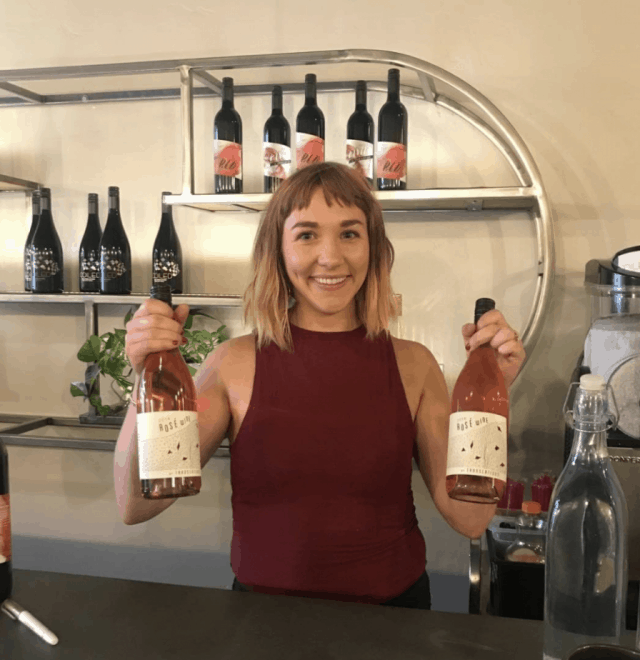 With Assistant Winemaker Hailey Alexander, the two women are trailblazing a path for female led wineries along the urban wine trail of Boise wineries. Of all the wineries I visited, Cinder had the largest production, with 8,000 cases of yearly production. Cinder sources 100% of their wines from the Snake River Valley, unless weather patterns require they use graps from Columbia Valley. They have a Cinder branded class of wines, and then the Laissez-Faire blends. Made with little winemaker manipulation, the Laissez Faire blends are modeled after European table wine. I had never had a white blend before, and the Laissez Faire White blend was quite nice. A mix of sauvignon blanc and chenin blanc, it’s a great glass for a 103ºF day, like the day I visited. Tasting Options at Cinder Wines, one of the Boise wineries. 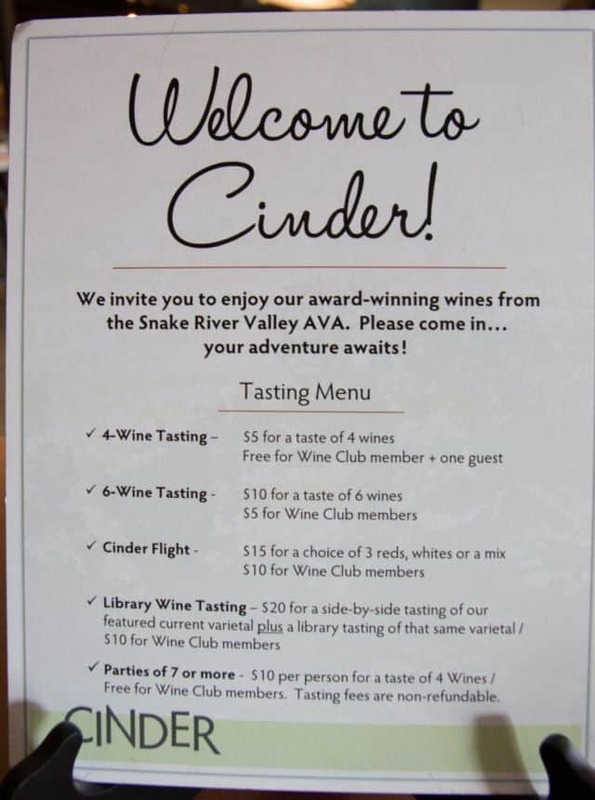 The best sellers at Cinder are the Viognier, Syrah, and Tempranillo wines, all from the Snake River Valley in Idaho. They use all cork stoppers on their bottles, something that is less common nowadays. Of the wines I tasted, the 2015 Syrah was my favorite. It was peppery and rich, and fruit forward in a way that was reminiscent of a bold cabernet sauvignon. There are two locations of Coiled: the wine bar in downtown Boise, and the production house on Chinden in Garden City. I stopped by the wine bar in Boise. Surrounded by breweries, it is nice to find a wine tasting room to duck into for a spell. Another female owned winery, Coiled began in 2008 and today, makes over 2,500 cases of wine. Their wines source from Idaho’s Snake River Valley, and blends have fun snake names like Black Mamba and Sidewinder. As it turns out, I am a sucker for cheeky wine names! One of the best things about the Coiled wine bar is its hours of operation. Most of the Chinden tasting rooms only have visiting hours for five or six hours a day, until about 6 pm. Coiled is open from 3pm-10pm four days a week, and from 1pm-10pm on Saturdays. Split Rail is like the punk rock cousin of Boise wineries. With original blends, outlandish labels, and even wine in cans, Split Rail is whimsical as can be. 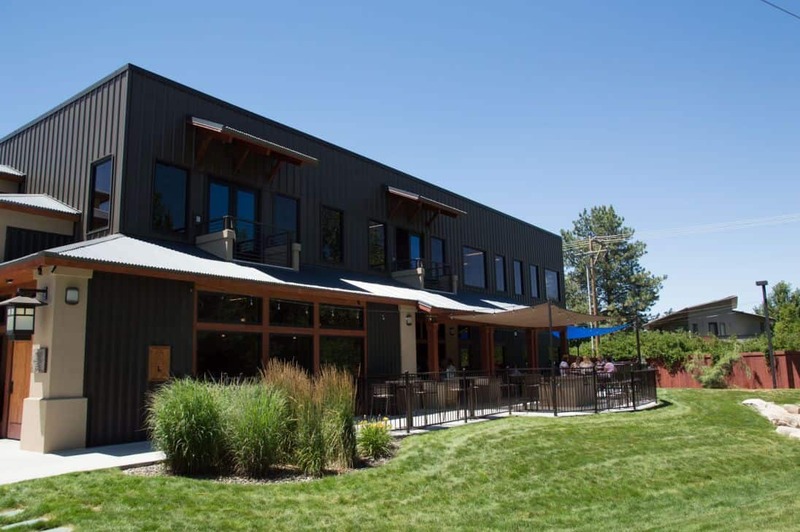 While all the wineries and tasting rooms in Boise are casual and approachable to the most novice of wine drinkers, Split Rail is the most so. Like the others, Split Rail sources their grapes from the Snake River and Columbia Valleys. 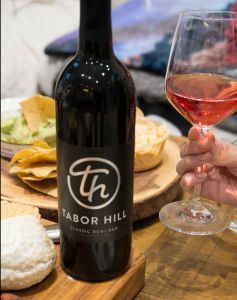 Check out their website when you are in town and you may find yourself joining them for not only a tasting, but also a seat at their supper club. 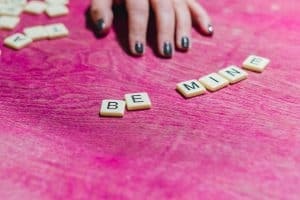 I visited these particular wineries, but you can make your own wine tour of Boise by consulting the map, and building something to suit your interests. 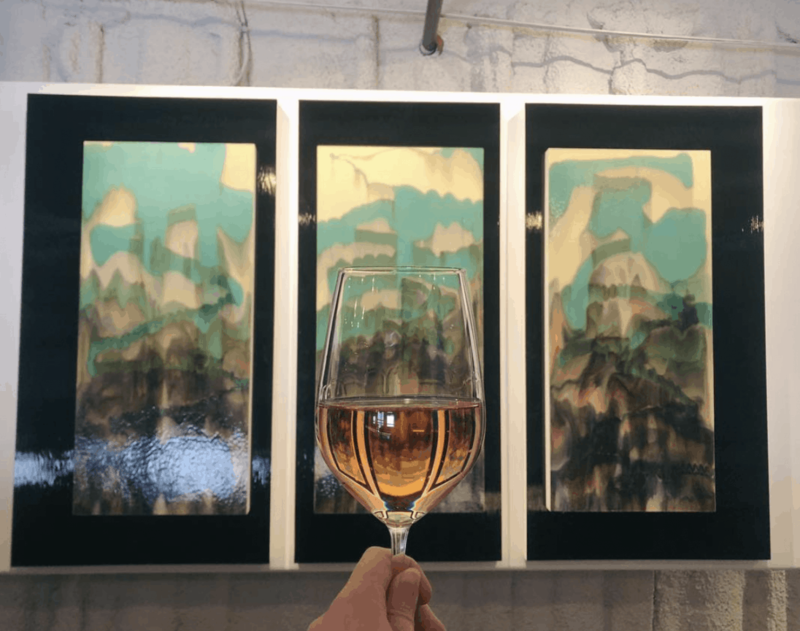 If you don’t get a chance to visit multiple Boise wineries, I have another good idea for you. If you are willing to spend $100/person on a meal , consider dinner with a wine pairing at State and Lemp. This Michelin starred restaurant in Boise offers $30 for wine pairings on their five-course dinners. You are welcomed with a glass of sparkling wine, and then a fantastic meal. Of the wines paired, at least one is from a local Idaho winery. 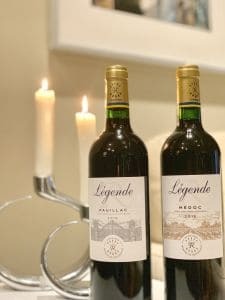 For $30, it is a great way to have a variety of wine while enjoying a delicious meal. As our final honeymoon meal, we made sure to add something nice to our Idaho packing list for the occasion. I am amazed at all the wineries there. You wouldn’t think there would be so many. I am not a big wine drinker but it is always fun to sample wines and other spirits made locally. Looks like you had fun. Yes, it was lovely to find wines that really could stand on their own against Californian wine! This all looks promising. I love that the wineries are fairly close together and the pairing dinner sounds like a special event.